From RM30 Wedding Shoes & Accessories! Christy Ng Shoes and ShopCoupons Malaysia Brings You the Best Deals in Town! 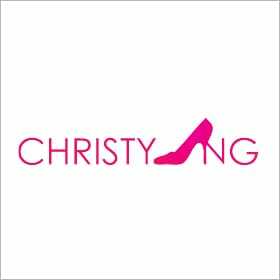 Christy Ng Shoes is an online shoe company which specializes in custom-made shoes, wedding shoes and women’s fashion shoes in Malaysia. So, who is this Christy Ng? Read on to find out a little more about the founder’s background. Six years ago, with a bachelor’s degree in biotechnology in hand, she began working for a Swiss Pharmaceutical company but was far from happy with her monthly income. She then started a blog shop and began selling shoes sourced from China online. By the end of her first month, her blog shop received over 2,000 hits and her company’s Facebook page, 5,000. As the business expanded rapidly, she quit her full-time job, and the rest, as they say, was history. When Christina began selling her shoes, her online store was then known as Shoe Heaven and was one of the best online shoe stores in Malaysia as there were very few online shoe shops. E-commerce was only booming just then and Christina was lucky enough to ride the wave to success. Unknown to many, she actually joined local TV reality program, Nescafe Kickstart in 2009, won and used her winnings and savings as capital to expand the business. Later in 2013, she joined and won Alliance Bank’s SME Innovation Challenge and used the prize money of RM250,000 to expand the business even further, one of which included using some of the winnings for creating their signature 3D shoe design engine. Christy believed that one size does not fit all and one day had an epiphany: to create and provide custom-made shoes which can be designed to fit feet of all shapes and sizes. As we all know, giant fashion footwear labels do not give customers the option to order specially tailored shoes and Christy wants to provide just that for customers who are even more sophisticated and educated in this day and time. To date, thousands of women from more than 30 countries don Christy Ng shoes due to its unsurpassable quality at affordable prices. Lately, they have even added more products to their range such as custom-made bags and soon-to-come baby shoes. Did you know that Christy Ng Shoes launch 4 new shoe designs weekly? That takes a lot of brain juice and creativity to churn out so many designs each week! What is it that makes Christy Ng Shoes such a must-have among not only Malaysian women but also women across the globe? Unlike your typical footwear designer labels, Christy Ng provides top quality, custom-made or ready-made shoes so affordable you wouldn’t believe the price you’re paying for a pair of Christy Ng’s. So if you’re looking for quality, cheap shoes online in Malaysia, Christy Ng is the place to go. What Can You Buy at Christy Ng Shoes? Mention Christy Ng and most ladies would associate the name with bridal shoes. 35% of their total sales are, in fact, driven from their bridal shoes so it’s no surprise that Christy Ng is synonymous with wedding or bridal shoes in Malaysia. Besides wedding shoes, they are also known for their custom-made shoes with a price range of RM190 to RM899, which is not at all expensive if you ask me. You can customize your shoes according to your preferred size, color, heel height and material until you make a pair just the way you want it. Christy Ng Shoes’ unique selling point is their 3D shoe design engine which happens to be the first of its kind in Southeast Asia. 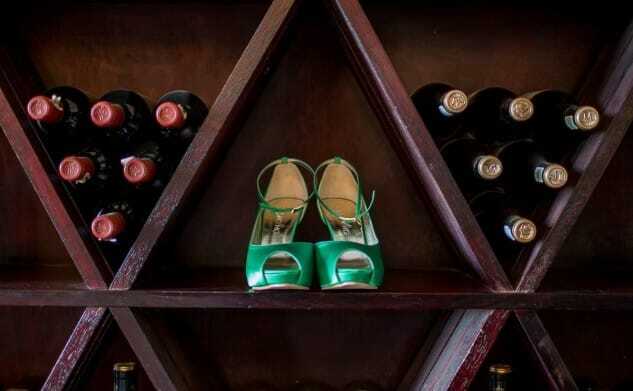 With this feature, customers can bring the shoes of their dreams to life by choosing from an assortment of textures, laces, prints, fabric and more via this super cool designer. Using this feature, there are more than 1 million potential design combinations! This is why Christina is so confident that there is always something for everyone and every occasion. Let’s not forget about their ready-made shoes which consist of flats, heels, lower heels, peep toes, sandals and wedges. Christina’s very own collection, FUNK by Christy Ng is also a best-selling label you should not miss out on. One of their most recent but highly coveted products, the Signature Fan Clutch, is a must-have for every woman because of its unique design and versatility. If you prefer more minimal designs, feel free to check out their other few but exceptional clutches. Besides shoes, bags and accessories, the team at Christina also ventured into clothing, focusing more on bridesmaid gowns and work attire for the modern woman labeled 57th Street Bridal and 57th Street Ready To Wear. Is there anywhere else I can purchase Christy Ng Shoes besides the official website? We’re glad you asked because the answer is yes! Christy Ng is available at Malaysia’s first and hottest online fashion store, FashionValet where you can also browse through other local and international brands. Besides homegrown e-commerce store FashionValet, you can also find Christy Ng Shoes on worldwide marketplace Etsy, which connects the world with unique goods and is one of the platforms which helped Christina to make her shoes well known across the globe. Christy Ng Shoes also used to be available at Zalora Malaysia and was spotted numerous times on Groupon during their earlier days. If you prefer the traditional way of shopping for shoes – walking into shoe stores and trying ‘em on – worry not as they have a brick and mortar store as well due to high demand. Their previous store (back then known as Shoe Heaven) was located in Damansara Uptown and has since relocated to Jaya One (address: No. 57-1, Block D, The Suites, Jaya One, No 72A, Jalan Universiti, 46200 Petaling Jaya, Selangor, Malaysia). In case of any enquiries, you can contact them via telephone by dialing +603-7495-5909 or drop them an e-mail to address [email protected]. Their business hours are as follows: Mon- Fri (9am – 5pm); Sat, Sun & Public Holidays (10am – 3pm). Also, in case you’re interested in building a career for yourself in the fashion industry (and if you’re probably in love with shoes), feel free to send your resume to [email protected]. How Can ShopCoupons Help You Save at Christy Ng Shoes? Thanks to the close relationship we have formed with Christy Ng Shoes as a merchant in ShopCoupons, we are able to bring you the best Christy Ng promotion codes, coupon codes, discounts and vouchers to help you save while you’re on your shoe-shopping spree. Shopping at Christy Ng Shoes is so simple thanks to their simple but attractive interface. After all that talk about Christina Ng, here’s a Youtube video of her being interviewed by Bloomberg TV Malaysia’s Sophie Kamaruddin for you to get to know her and Christy Ng Shoes better!